Совместимость с Windows 7: программа была установлена на 64-битную Windows 7 / Windows 8. Совместимость с Windows XP: программа была установлена на 32-битную Windows XP. ArcInfo is the most complete desktop GIS. It includes all the functionality of ArcEditor and ArcView and adds advanced spatial analysis, extensive data manipulation, and high-end cartography tools. Organizations use the power of ArcInfo every day to create, edit, and analyze their data in order to make better decisions, faster. 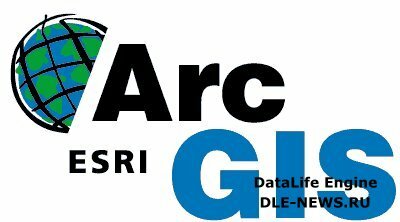 ArcInfo is the de facto standard for GIS. Perform advanced GIS data analysis and modeling. Take advantage of tools designed for overlay analysis, proximity analysis, surface analysis, and raster processing and conversion. Publish and convert data in many formats. Create and manage personal geodatabases, multiuser geodatabases, and feature datasets. Use high-end cartography tools to generate professional-quality, publication-ready maps. Design customized symbols and place sophisticated annotation and labels on your maps. 6. Запускаем ArcGIS Administrator. Во вкладке Desktop отметьте "Arcinfo (Cuncurent Use)". 8. ArcMap-->Geoprocessing-->Geoprocessing Options и убираем галку с enable the background processing.